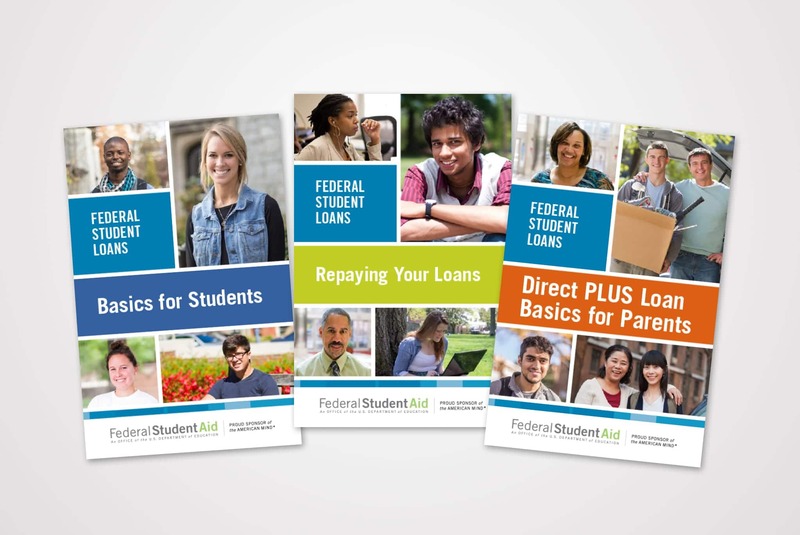 The U.S. Department of Education Office of Federal Student Aid is responsible for directly managing a federal student loan portfolio comprised of billions of dollars in Title IV loans. With an increasingly tech-savvy base of college students and parents, they needed new ways to communicate their messaging. Their goal: We need a cohesive set of collateral that will appeal to a new generation of customer, and keep people informed. With an audience that’s constantly connected, it’s up to us to put the information in the palm of their hands. Let’s align on what the needs are and the best way to approach solutions. As always, we need to maximize the return based on the spend, which means constant communication and collaboration. 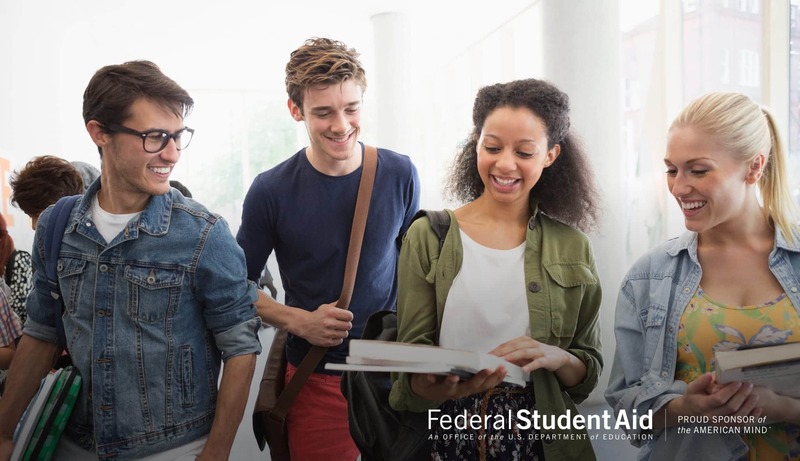 Since 1980, the U.S. Department of Education has been working to foster student growth and achievement while ensuring equal access for all citizens. By providing tools, information, and guidance, they help our young people get the most out of their education and prepare them for competitiveness on the global stage. A comprehensive suite of print and digital collateral was produced, including a 60-page annual report. Large quantities of information were distilled and organized into simple layouts. A library of more than 100 custom icons was produced that could be drawn from for a range of purposes. Constant communication was crucial as the project evolved and key decision-makers solidified their needs. 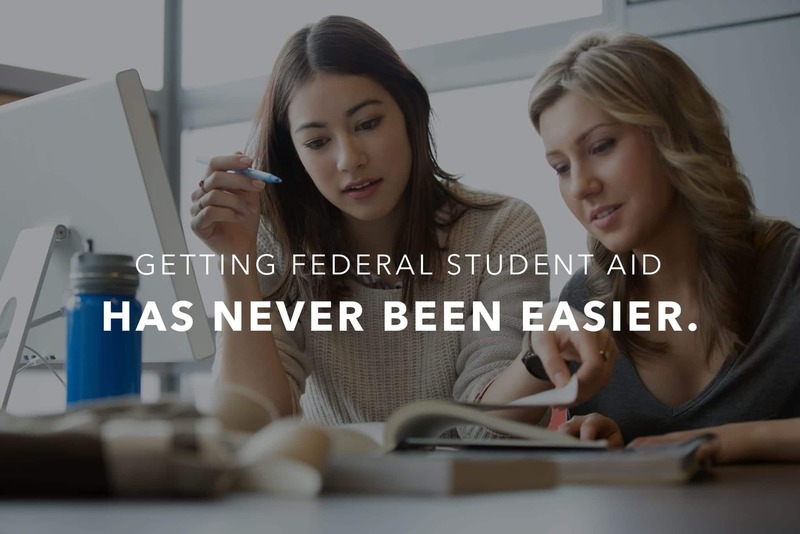 We worked with the Office of Federal Student Aid to manage, produce, and perfect the various pieces of the campaign puzzle. While adhering to stringent brand guidelines, we pushed boundaries visually, creating something that was vibrant, but professional. An up-to-date explanation of the loan process was effectively communicated to students, parents, and guardians all over the country. The campaign’s success turned a 3-year contract into 5. 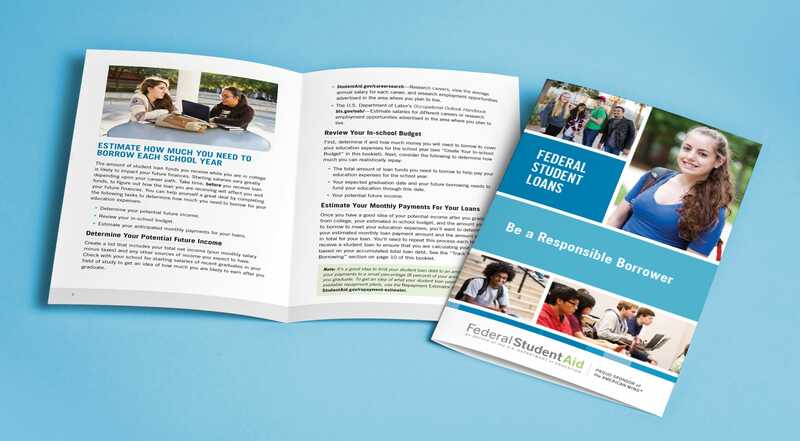 The work gave new life to Federal Student Aid materials—but above all, it was an effective resource for a new generation of customer. 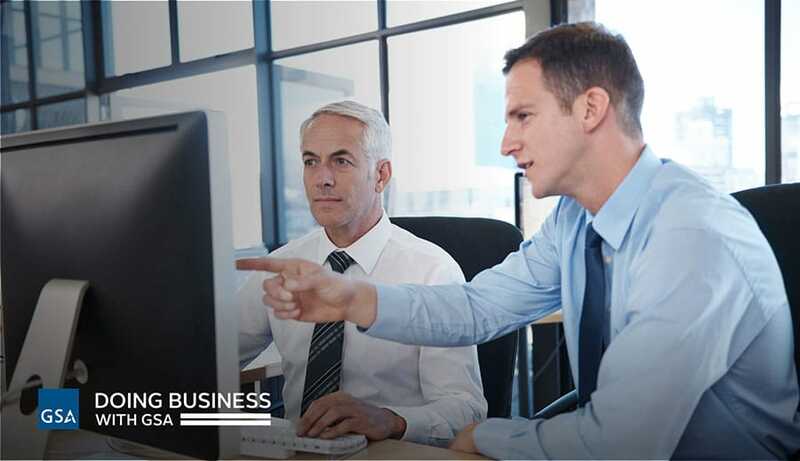 The goal: The General Services Administration (GSA) Federal Acquisitions Service had a training curriculum in place for ordering activities that utilized webinars of varying lengths. They contracted us to help streamline and update the training process, which was offered through the GSA Multiple Award Schedule (MAS) Program. 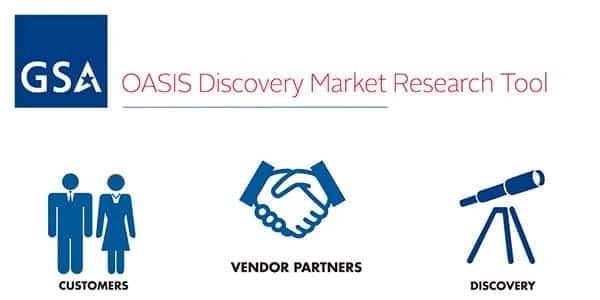 The work: Using existing course material as a starting point, we worked closely with GSA Subject Matter Experts to develop a multi-part course called “Buying Services”— a series of web-based video training that covered a number of different government web applications. The new program implemented current best practices for multimedia learning, such as a “micro-learning” e-learning strategy that involved writing and developing effective and efficient online training across multiple channels and different devices, including mobile. The result: The reorganization and consolidation of course material reduced a 5-hour course to 1 hour, resulting in an increased number of willing participants and a much more effective transfer of information. 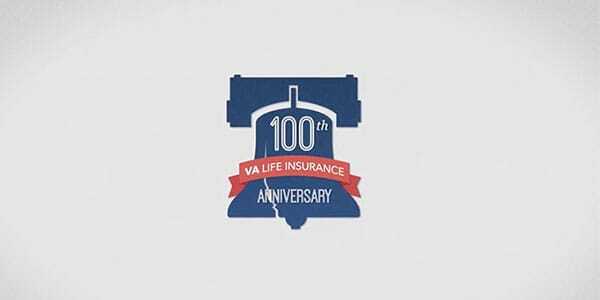 The goal: The VA’s Veterans Benefits Administration wanted a way to educate Veterans on the benefits available to them and how to utilize them. We were awarded the contract to produce a large quantity of informative video programs within a condensed timeline of 14 months. The work: Working collaboratively with the VBA to overcome location production challenges, develop engaging motion graphics, and clearly deliver complex information, we produced a total of 25 videos that were 508-compliant and geared for Public Service Announcements, the web, and Social Media. The result: The widespread placement of the videos extended their reach remarkably, making them the most highly-viewed videos from the Veterans Benefits Administration. With more than 100,000 views and thousands of social shares, Veterans all over the country were getting key information that could help them live better.